Are you trying to get better at budgeting, but you just feel kind of…lost? It can be hard to know which budgeting printables will work best for your family and which are worth downloading (and even a quick stop on Pinterest could send you into a overwhelm spiral). Great news! 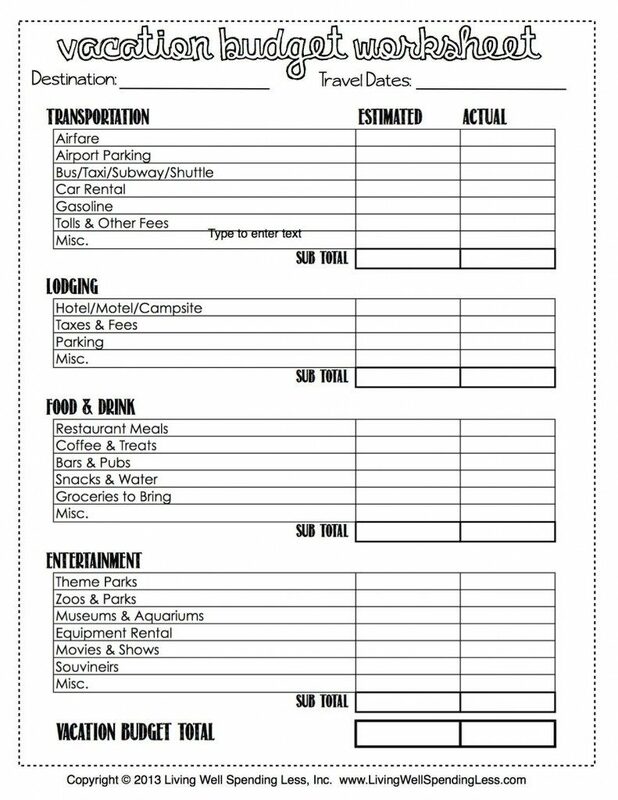 There are a TON of totally helpful budgeting printables available these days! The BEST part? I've done the hard part FOR you! Just take a look at this ultimate list, pick your fave, download and done. Easy! 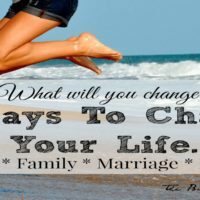 When it comes to getting your life together, it can be hard to determine what will work best for you. Are free printables worth it or should you just fork over for an all-out ready-made planner? Anyone who knows me knows I’m a planner fanatic. 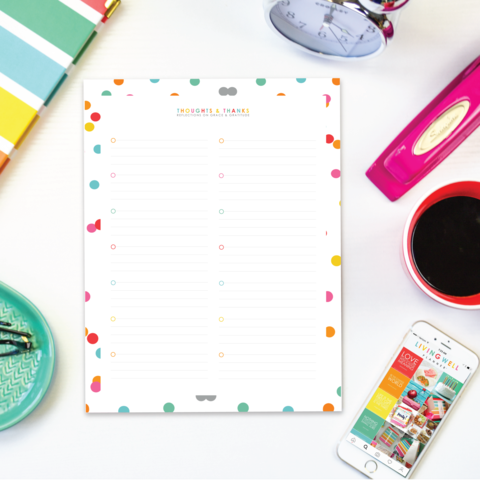 I love a beautiful organization tool and for years I coveted the Erin Condren planners with their cute tabs, stickers and motivational quotes. Unfortunately, a $50+ planner wasn’t in my budget at the time, so I made do with my own homemade printable “planner.” You know what? It actually worked just as well! The great thing about DIY-ing your financial planner, budget tools, and personal calendar is that you can pick the designs you want and totally customize it. You can make a planner that fits your style and has exactly the features YOU find useful. It’s also cheap (like, nearly free)! 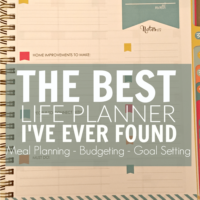 Once I finally had the planner in my budget, I was very pleased to find the amazing Living Well Planner, which is my current favorite pay-for planning tool out there. It has budget resources, meal-planning tools, and basically everything you need in one place. PLUS, did I mention it’s gorgeous?! 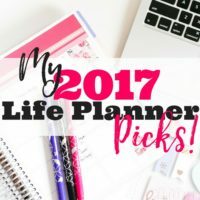 If you’re going to pay for a planner, it’s my recommendation, hands down! BUT if buying a planner ISN'T an option right now, like I said, building your own is a great idea. But, while customizing your own planning and budgeting tools is cool and all, it is a LOT of extra work. 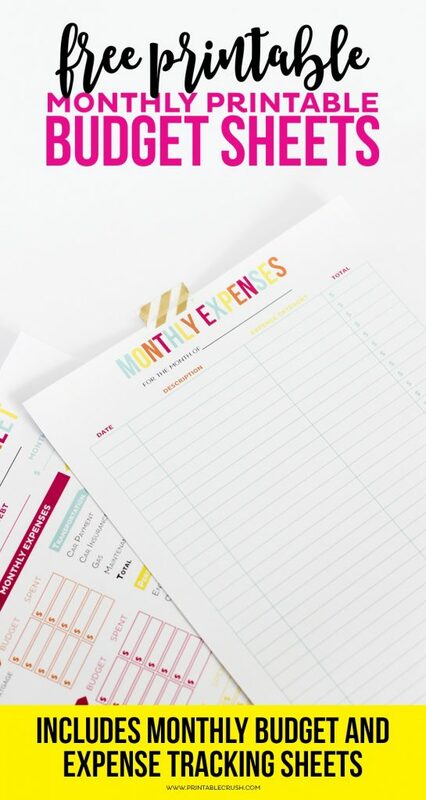 So if you're going for the build-your-own planner approach and you're looking for somewhere to get started, these free printable budgeting sheets are a great place to start. 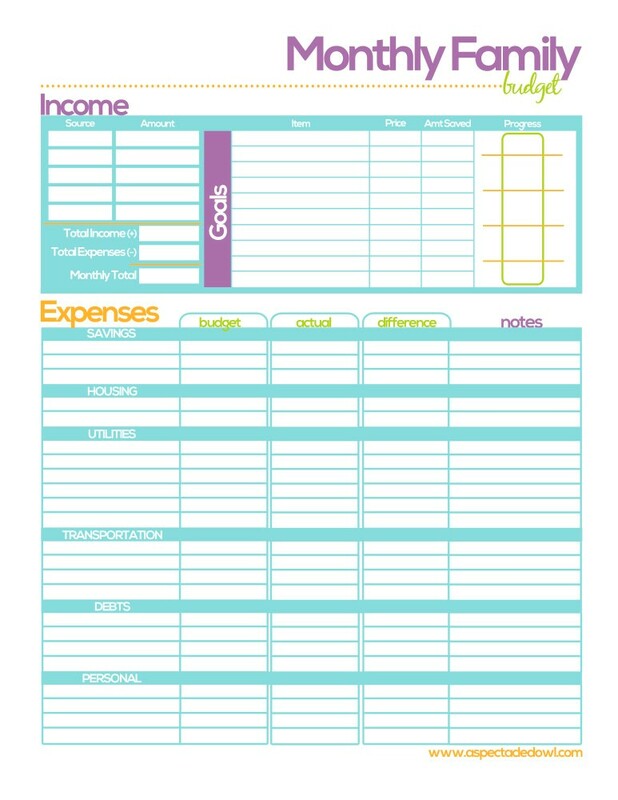 Or hey, you can just use these budgeting printables from Pinterest solo! If you're just looking for a simple budget worksheet, you're also in luck! 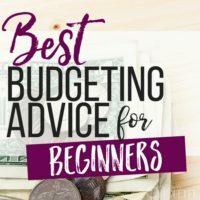 With so many resources and printable offers out there, how do you find what fits your budget style and financial needs? Well, never fear! 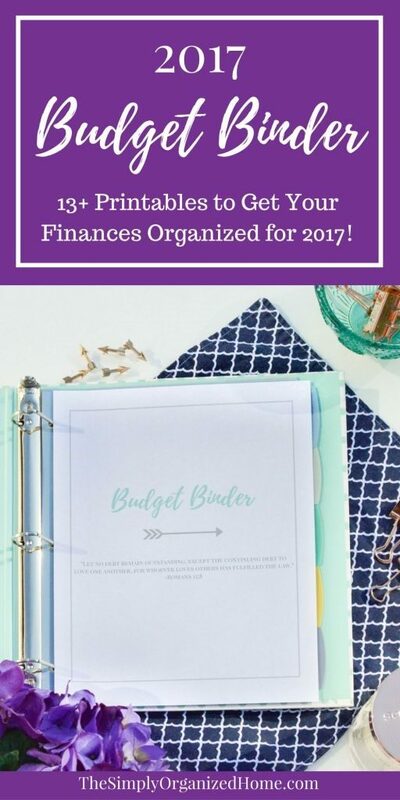 I’ve rounded up an ultimate list of budgeting printables to help you determine what will work best for you! 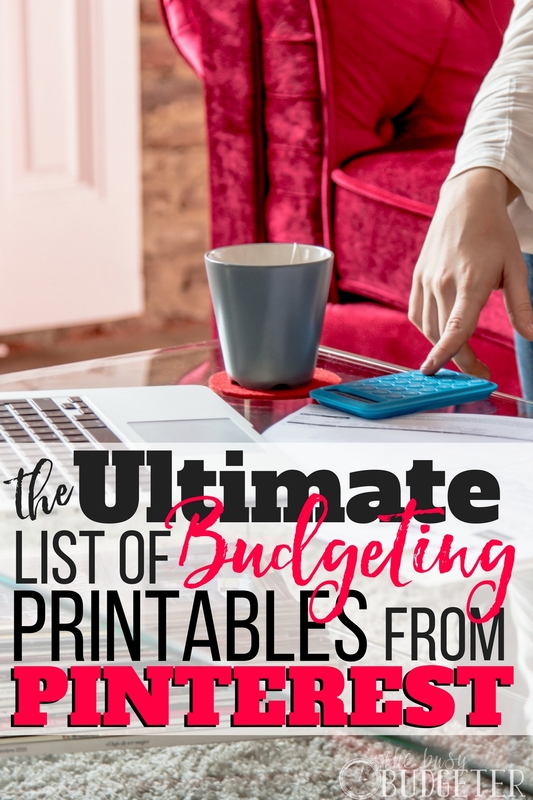 Here's Your Ultimate List of Budgeting Printables! These are really cute and they fit with the Living Well Planner aesthetic. The sheets are straightforward, simple and easy to use. 2. Printable Envelope System from Frugal Mom Eh! If you use an envelope budgeting system these printables are darling—cute retro-y prints to really get you excited about using your worksheets and envelopes. 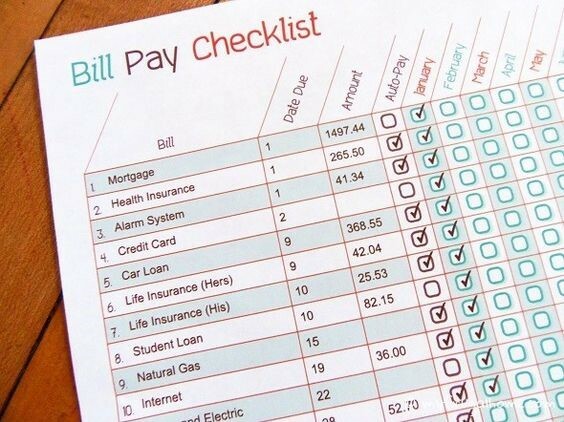 Here’s another simple, easy to use checklist that features common bills and expenses plus customizable fields. This is a nice tool if you’re new to budgeting or if you have a number of bills to keep track of each month. This series of printables has tons of relevant items—from household contact lists to meal and budget planning tools. If you’re making your own planner or binder and you don’t want to spend time searching around for various pieces, this is a nice solution. This series of printables is $2.99 for 13 downloadable forms you can use to customize a simple, but effective budget binder. There’s even a form for Irregular Income (which many of us have)! 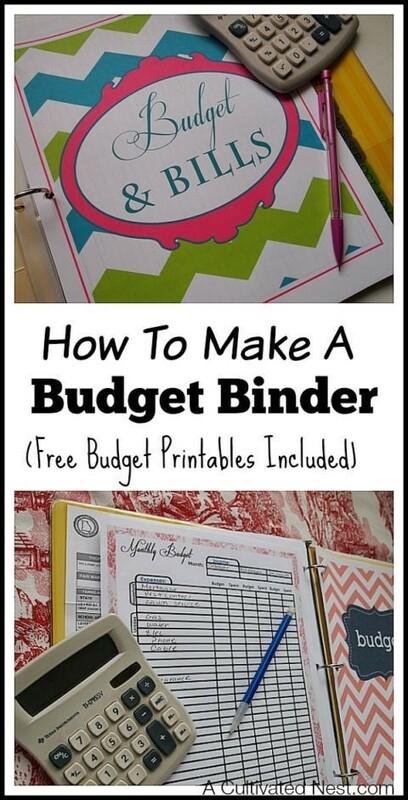 This is a nice step-by-step guide for how to create your own budget binder, complete with an overview and instructions. These printables are nice and simple, and can go with almost any style. 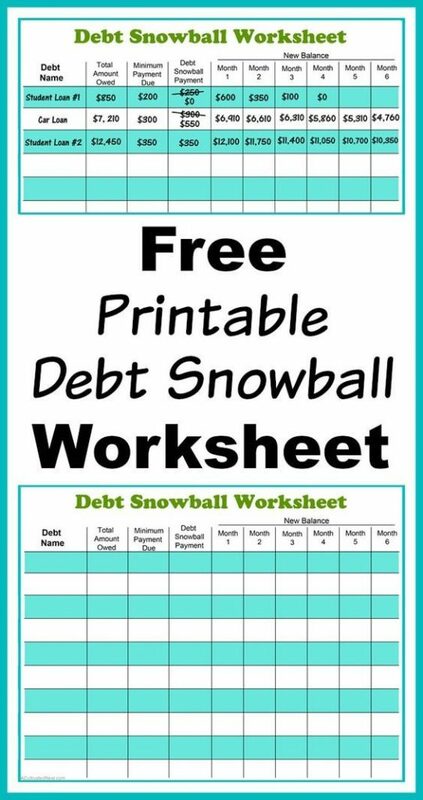 Also from A Cultivated Nest, this free printable Debt Snowball Worksheet is really helpful if you’re using the “Debt Snowball” system to pay off your bills. The snowball system, popularized by Dave Ramsey and his “baby steps” program, involves paying off your smallest debt first, and then moving on to the next smallest, building up the amount you pay off as you go. 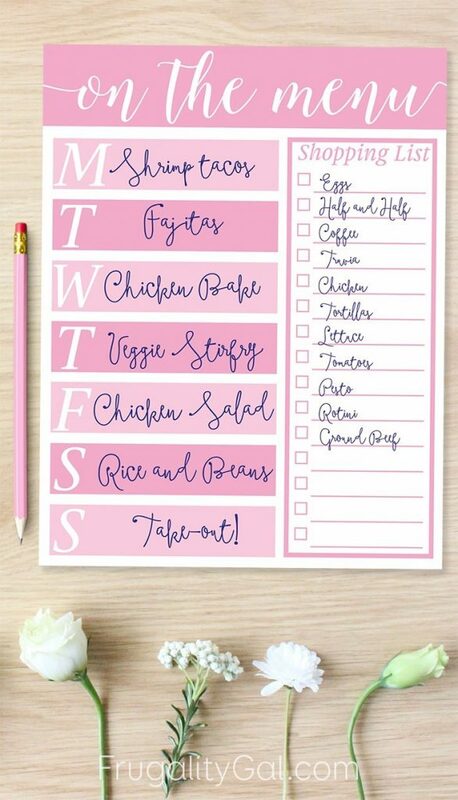 One of the best money saving tips out there is to plan your meals ahead and eat from home as much as possible. Getting started with meal planning can be a bit of a challenge, but this meal planning budget tool makes it really easy. Also from Frugality Gal, these cute envelope system templates are another awesome budget printable! The envelope system works for people who like to keep their cash organized and who prefer a very visual way to save and budget. 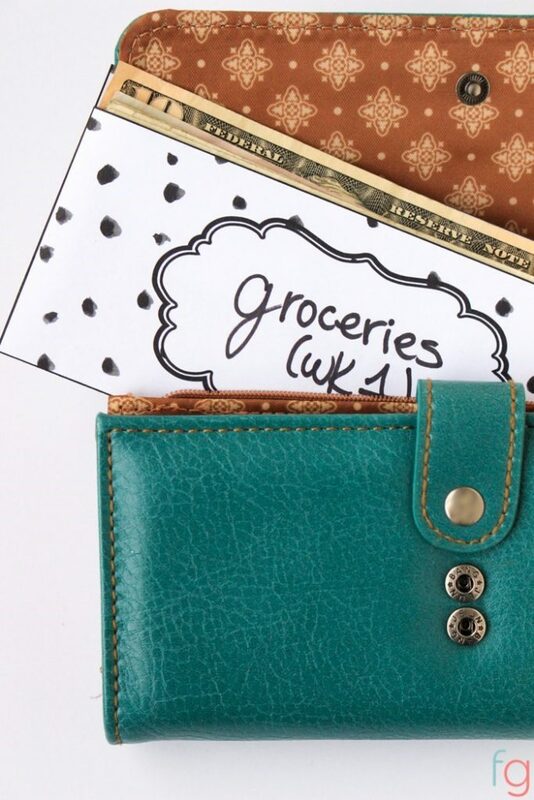 These printable envelopes can really help you get started budgeting. I love the colors on this one and the way everything fits onto one page. 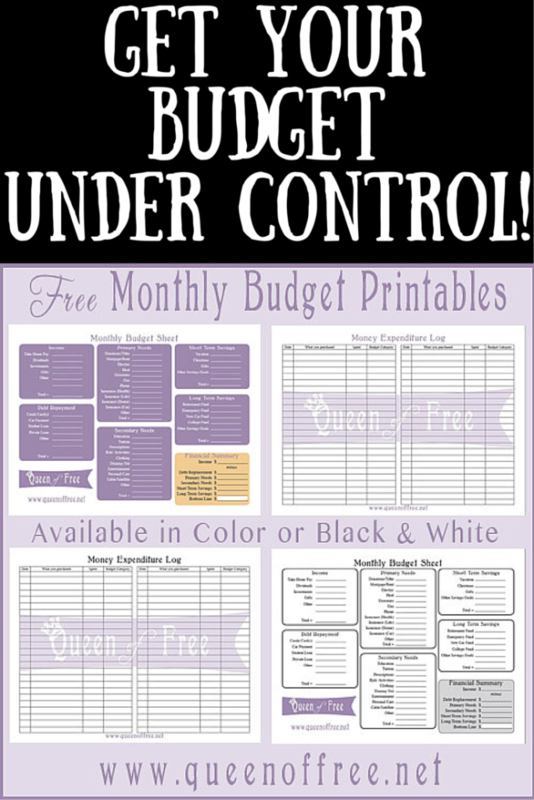 The great thing about this budget printable is you only need to print out one for each month, so it’s slim, simple and easy to keep track of. I’ve mentioned that the Living Well Planner is my favorite ever—well, Ruth Soukup’s printables on her site are also quite helpful and beautiful. She really knows what she’s doing when it comes to making user-friendly, effective products that are just cheery looking. This tool is great for planning those summer vacations or trips. It'll help you figure out how much you'll need to set aside ahead of time. If you use the Living Well Planner or even if you’re still saving up for one—there are tons of individual tools you can download to go with and enhance your planner. Most cost around $3 per download, which can add up, but as supplemental products, they're really worth their weight. At minimum, download the free budget worksheet from Living Well Spending Less, if you want to get a feel for the style, and see if it works for you. This tool is cute (love the little piggies at the top) and it's a great option for new budgeters. 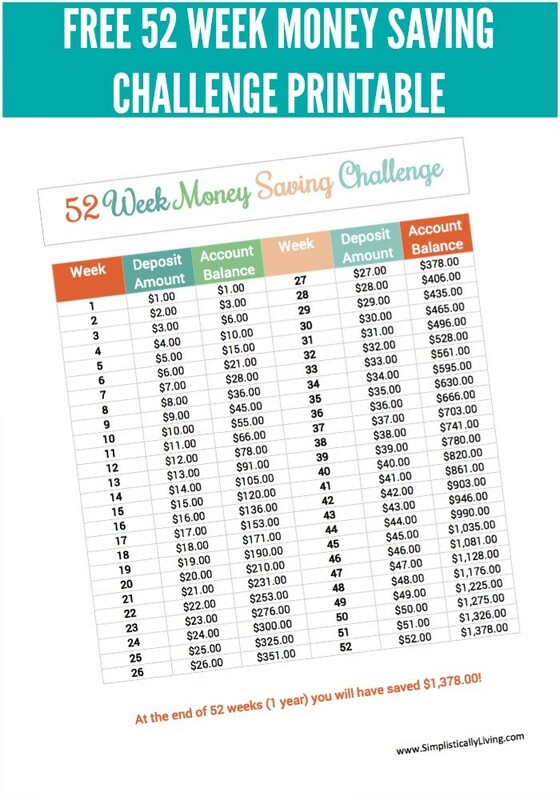 If you’d just like a nice savings opportunity that engages you as a “challenge” (which can be very motivating), this is a great printable. It gives you a yearlong jumpstart on savings, putting a little away each week and building as you go. 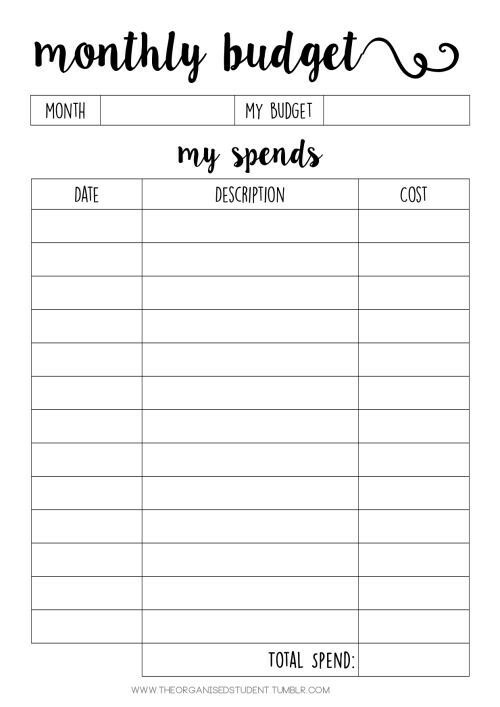 This very VERY simple monthly budgeting printable from The Organized Student can be a great way to start for total budget newbies. If you’ve never written down your spending and have no idea where your money goes by the end of the month, this is a great helper to give you an idea of what your spending looks like. 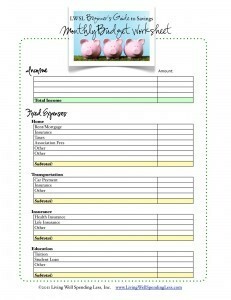 This site has several free monthly budgeting printables that work super nicely in a budget binder. They can be printed in color or in black and white, and they're really some great resources. They also have a horizontal orientation, which can work better for some binders and planners. Here’s another option if you prefer a set of printables that’s already matching and ready to go. This one is cute in red, pink, black and white with floral. There are plenty of different pages you can pick and choose from and find what works for you. This is only available if you subscribe to the Blooming Homestead e-newsletter (just add your address at the prompt). This is another ready-to-print tool that offers budget resources so you can put together a complete budget binder. This one has a bright, cheery look, and although it’s simple, it has the bases covered to get you going. Here's one of MY free budgeting tools to keep your budgeting efforts motivating and fun. You know how fun it is to see a donation thermometer fill up? Well, imagine if YOU were donating to yourself! 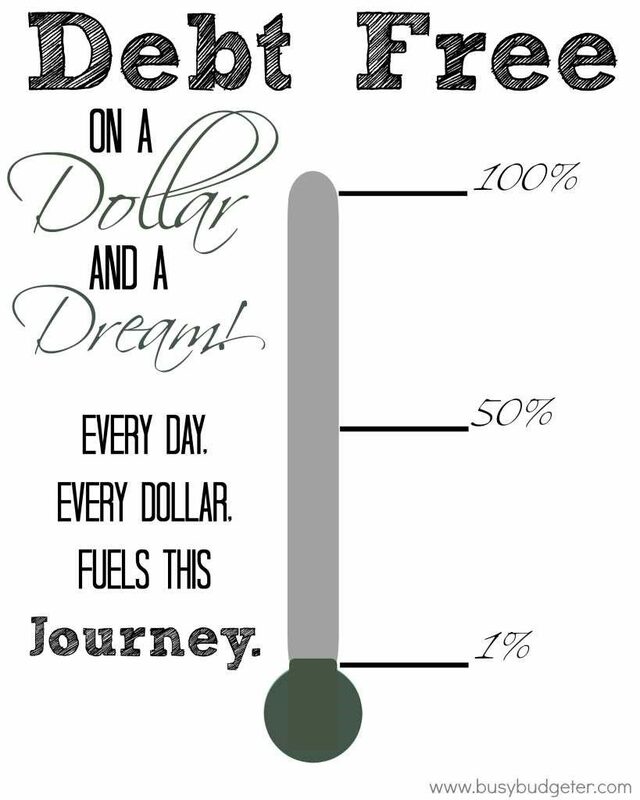 This debt free thermometer helps you see your progress and celebrate the difference each dollar makes! I have a number of great freebies for readers including the Ultimate Money Saving Guide, The Stockroom Inventory Tracker, and my Baby Step Fitness Program to help you get fit on a budget! Check out some of my resources and see how they work for you! 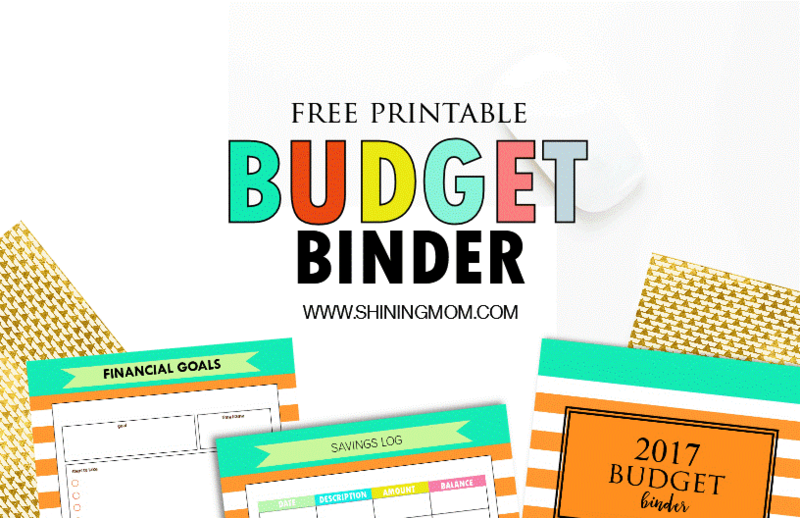 There are so many great options for budgeting printables, especially if you want to customize and create a budget planner that works for you! Let me know what budgeting printables you’ve found particularly effective and what you like to use! This is super helpful! I am a digital girl when it comes to my day-to-day planning because I love the built-in reminders. (I’m so forgetful these days.) However, I like pen and paper for keeping track of my finances and meal planning. Thanks so much for putting this post together! This is really helpful! I tried google calendar but it was so full with everything, so this helps keeping things more separate.